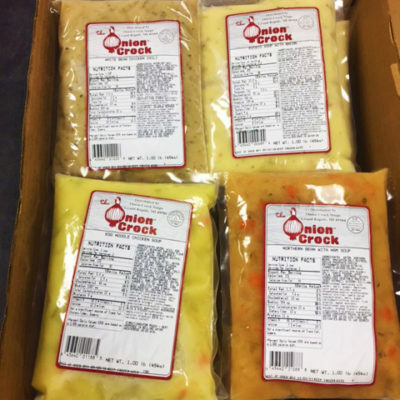 Warm up the holiday season with a gift of premium quality gourmet soups from The Onion Crock of Grand Rapids, MI. Make the most of our corporate/employee holiday gift program. 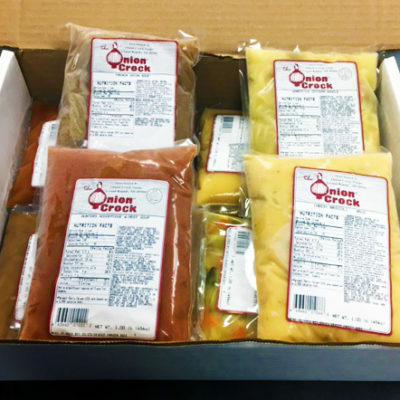 Each of our delicious soups are made locally and frozen for freshness, so your customers, clients, and employees will receive the very best from you this season. Give something different this year for a truly unique gift. Our products will be delivered to any location you choose with the confidence that they will remain frozen! Make your selections below to order a wonderful gourmet soup to serve at your holiday party or to give as a gift.